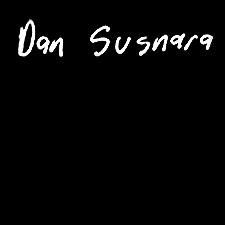 Dan Susnara & Micky Saunders : "Aware" b/w Future On the Move"
Dan Susnara & Micky Saunders : "Turn into Life" b/w "In the Blink of an Ear"
Dan Susnara, Greg Stomberg, Ken Clinger : Adam, 2073 A.D.
Dan Susnara & Friends : G'Wan! The Smirking Herbert : Too Chubby For Ballet? Dan Susnara : The Raynebo Park L.P.
Dan Susnara : "Cloak of Deception" b/w "Recluse"
Dan Susnara : You Can Do This On the Bus! !